Jack Butland is listed as one of Chelsea’s transfer list top target. According to reports from Sky Sports, the stopper who is rated to be worth £30 million is a top priority for Chelsea, as a likely replacement for the Belgian keeper Thibaut Courtois who speculations have linked with a possible transfer to Real Madrid. Speaking on the Sky Sports Transfer Talk podcast Dorsett said: “We’ve learnt this week that he’s on Chelsea’s list of potential replacement if Courtois leaves. “And we fully expect Courtois to leave don’t we as he goes into the last year of his contract. “We think he’ll go to Madrid and so because of that you’ve got Butland and Kasper Schmeichel who is on Chelsea’s list as well we’re told. “So there’s a couple of possibilities here. Either Butland goes to Chelsea straight away, job solved or Schmeichel goes to Chelsea and I think Leicester would be very interested in Jack Butland. Butland who was on extended this summer is reported to have resumed on Friday for pre-season training with Stokes City against their pre-season final match. The 25-year old English goalkeeper, who joined Stoke City in January 2013, has been on the radar of the Blues alongside the Danish Keeper Kasper Schmeichel of Leicester City as potential replacement for the Madrid-bound Courtois. 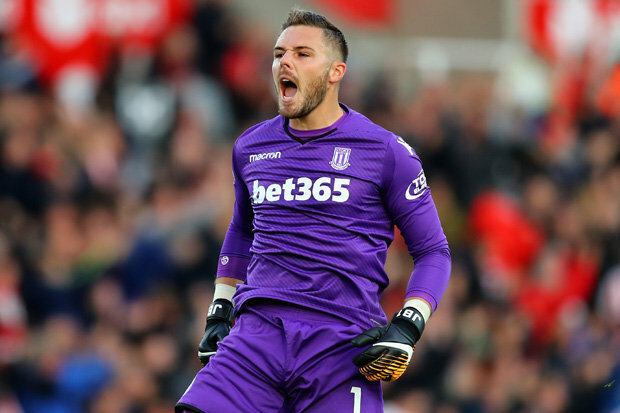 Stoke City are currently relegated from the Premier League after a ten-year stay and might want to keep Butland to stimulate a quick comeback to the League. However, Sky Sports reported that Stoke City Manager Gary Rowett is not willing to let go of Butland, but speculations have it that the goalkeeper would like to remain in the Premier League and might sign for a top club with a good deal.